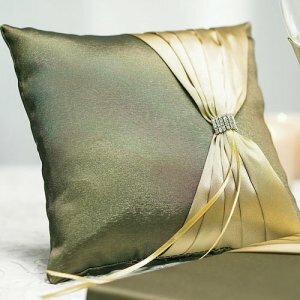 Our Thymeless Green Square Ring Bearer Pillow features delicate sheer fabrics in the colors of nature. 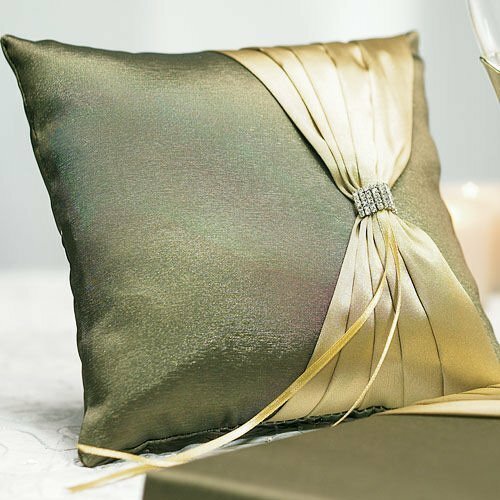 This piece features a glittering crystal buckle and ribbon to secure the rings resulting in a refined pillow that will showcase your rings perfectly. Product dimensions - 8" square. 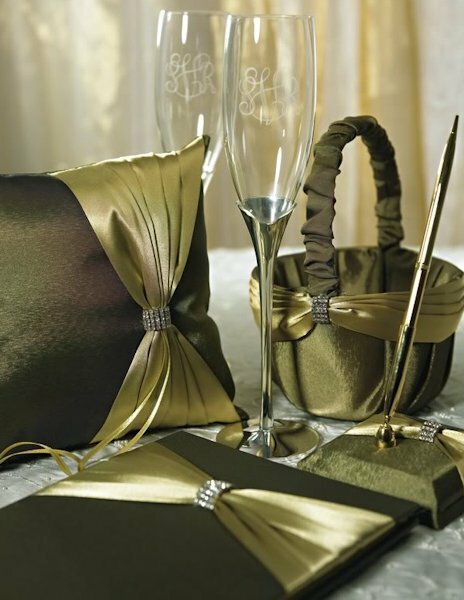 We also sell a matching flower basket as well as other accessories in the same charming color palette to create a coordinated look.